As expected, a lot of different films received votes in this poll, but the 1987 John Hughes fan favorite, Plains, Trains & Automobiles, got a well-earned victory here. I didn’t get to see that film until last year, but yeah, it’s a fun movie, and I can see why so many people still love it today. Nice voting, folks, and it’s nice that so many great road trip films were represented here. This Week’s Poll: The latest Ron Howard film, Rush, has been out for a week now, and it has been getting a lot of positive buzz. In honor of this recent release, let’s take a look back at Howard’s extensive filmography. What are your two favorite Ron Howard directed films? Have a great week everyone! It’s good to be back. No Midnight Run?!? Noooooooooooo! Seriously, still some great ones listed, Eric. I think I listed Midnight Run as one of the main options, too. Surprised it didn’t get any votes. My fault, too. I always seem to miss the voting, I get the results, but miss participating. Welcome back hope you had a nice vacation! Thanks man, it’s great to be back! I am a John Candy fan, had to vote for Planes. Right on man, that’s a fun movie. Haha, I was also disappointed Bonnie & Clyde didn’t get a single vote. Love that movie! Nice to see the results! I’m not a huge Ron Howard fan, but I really like Apollo 13 and Cinderella Man. You know, surprisingly enough I have never seen Apollo 13. I might have to include that in next year’s project. Ahhh, I still need to see Frost/Nixon! It’s looking like a race between that and Apollo 13 right now. I’m going with ‘Apollo 13’ and ‘a Beautiful Mind’ from Ron Howard. 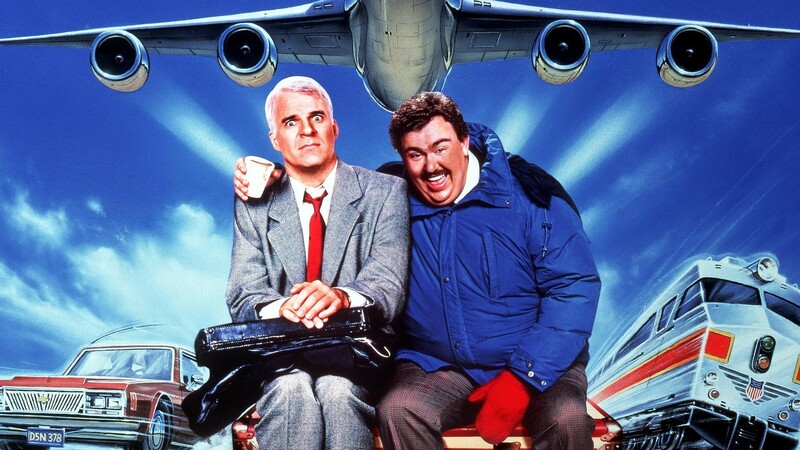 Not at all surprised ‘Planes, Trains & Automobiles’ won. I’ve got A Beautiful Mind coming soon for my project — looking forward to finally checking that out! Plains, Trains & Automobiles is a lot of fun, I especially like the scenes when they drive in the car. Ron Howard, Willow and Far & Away are guilty pleasures, Apollo 13 is well-made. Candy and Martin were a fun duo in PTA. Probably the last great film from John Hughes as well. I haven’t seen Willow in ages. I remember being ambivalent to it as a kid, but I’m curious what I would think of it now.